Traveling to foreign country is a big decision, and should always go as smooth as possible. That’s the reason why you should ALWAYS plan ahead and gather all the information you need on how to travel to a specific country. Medjugorje is located in Bosnia and Herzegovina. 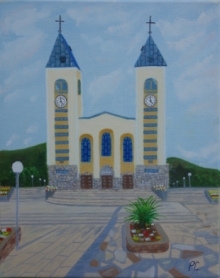 As a major pilgrimage site, Medjugorje has many religious and tourist agencies that help pilgrims all around the world with to find answers to their questions or concerns. Country Passport Required? Visa Required? Return Ticket Required? Visas are not required by nationals of countries referred to in the chart above for stays of up to three months. Nationals not referred to in the chart above should consult Bosnian embassy for all other information and visa requirements. Bosnia and Herzegovina does not recognize passports issued by the Former Yugoslav Federation Republic which has red cover. (b) nationals of Germany holding valid identity cards issued for minors called a Kinderausweis, with photo.